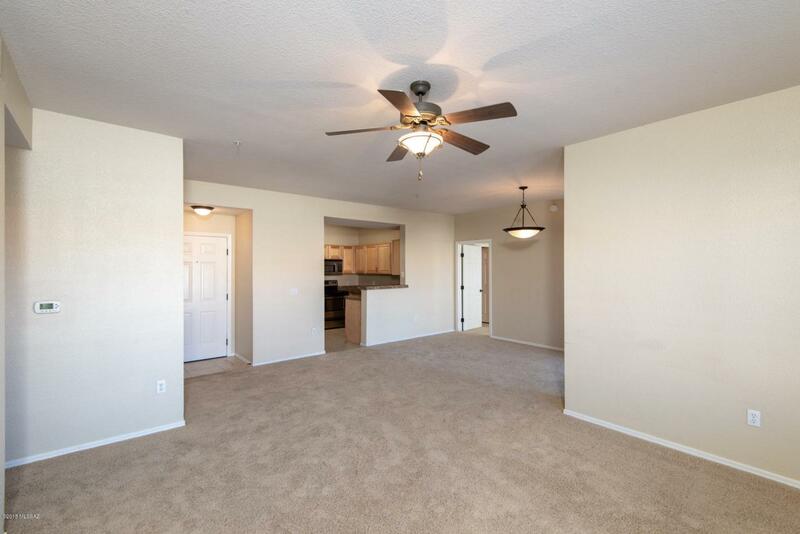 Spacious remodeled ground floor condo in the popular resort style Oro Valley community of Boulder Canyon At La Reserve. 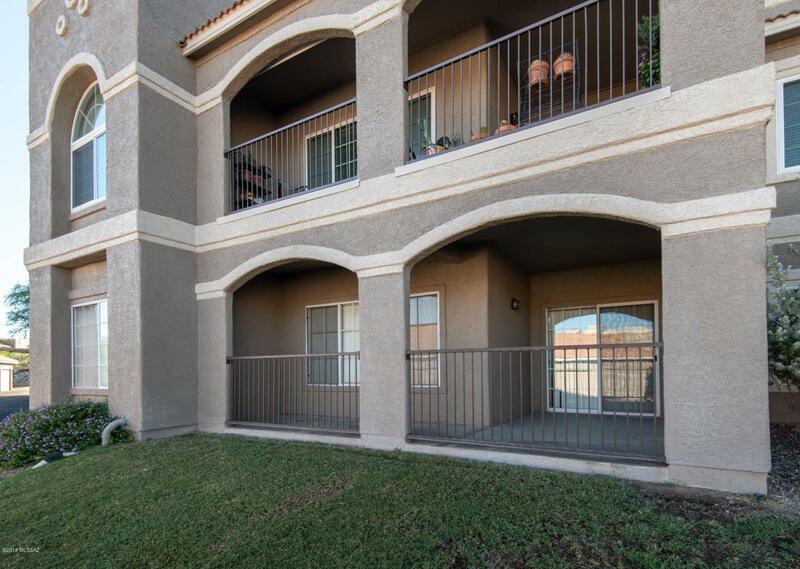 This private end unit property features an open 3BR/2BA floor plan with wrap around covered patio overlooking grassy park-like grounds, a kitchen with granite counters and stainless steel appliances, split bedroom layout, master suite with enormous walk-in closet and garden tub, washer/dryer included, VA loan approved community and outstanding amenities. 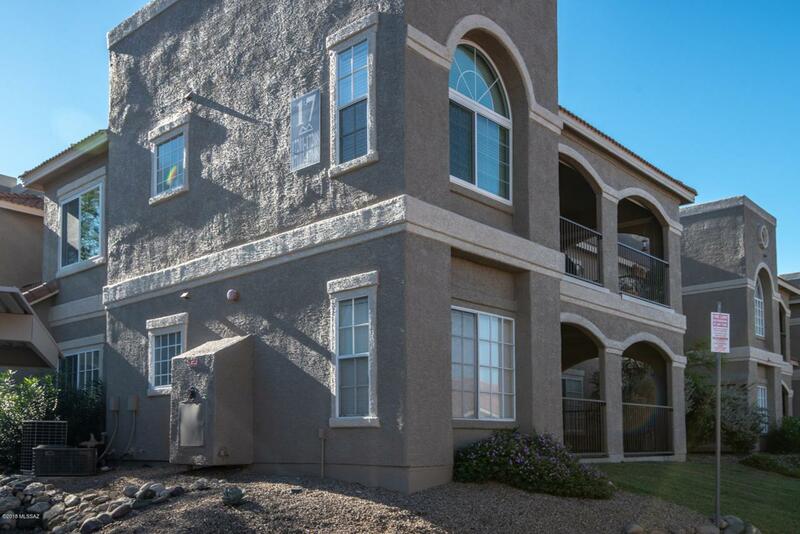 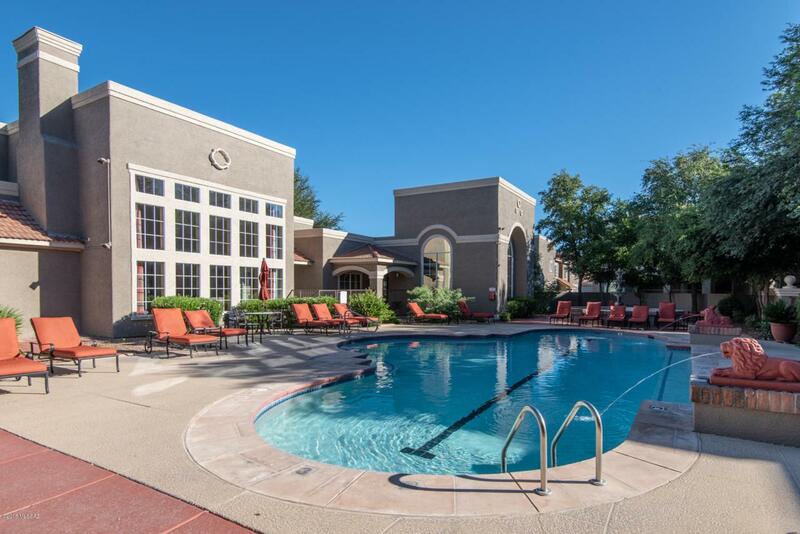 The Boulder Canyon Condos include a heated pool & spa, clubhouse, business center, exercise facility, bbq areas and a convenient Northwest Tucson location near shopping, restaurants and Catalina State Park.